Global New Zealand wine sales are beating expectations due to the country's premium position against its New World rivals, its generic association said today (7 December). Total sales of New Zealand wine have topped the 100m litre mark for the first time, according to figures released by the New Zealand Winegrowers association. Sales for the year to the end of September 2005 reached 103m litres, 39% up on the previous 12 months, and 89% higher than the year to the end of September 2003. 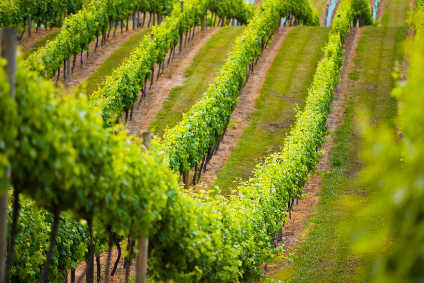 Warren Adamson, director for the UK and Europe at New Zealand Winegrowers told just-drinks that the country's performance in all four of its key export markets - the UK, the US, Australia and Canada - was ahead of sales forecasts. "There are lot of fantastic products from New Zealand and we're buying into a kind of lifestyle; we are the premium New World category. Need has always outstripped supply and that still remains the case." Adamson said that New Zealand wines have managed to maintain their relative price premiums despite recent big vintages in 2002 and 2004. "We have been able to sustain our sales growth. There were big increases in supply in 2002 and 2004 but each time we took it and absorbed it like a wonderful sponge. There was a little bit of softening on price in line with everyone else once the 2004 vintage came on stream (but) we've never seen the kind of elasticity in demand that can happen in the UK market." Exports of New Zealand wine has more than doubled over the last two years with the value of shipments reaching NZ$460m (US$324.7m). Adamson said that while the strengthening New Zealand dollar was a concern, he believed the country's wine producers could continue to thrive. Exports to the UK account for 40% of shipments but the US is projected to become New Zealand's number one export market by 2010.